Career and technical education (CTE) remains one of those important topics in public education that we just don’t talk enough about. When it became politically incorrect to call it “vocational education,” we renamed it to CTE. But even in today’s environment – one where we claim to prioritize science, technology, engineering, and all of those skills once termed “21st century,” we still don’t give CTE its due. Last month, the Trump Administration made much hay of its push to make and buy American when it comes to manufacturing. As we focus on how we protect American jobs while growing the American economy, we can’t expect to have a meaningful discussion on the topic unless we are talking the skills and knowledge necessary to ensure those manufacturing jobs both today and tomorrow. That means serious conversations — and policies — around career and technical education. Over on BAM! Radio Network, Eduflack explores this important topic, hoping that CTE can finally get its due in both education and the economy. Give it a listen here. You won’t be disappointed. For more than a decade, we have been talking about STEM (science-technology-engineering-math) education in the United States. For much of that time, though, our discussions haven’t evolved much. In too many corners of the conversation, we focus exclusively on how to teach math and science, mostly relying on the same methods and the same approaches we have used for generations. It’s only been recently that we’ve acknowledged, for instance, the need to better address the T and the E in the conversation, particularly as we now look to add coding and computer science to the K-12 curriculum (and as we search for teachers prepared in leading such instructional pursuits). And we now embrace the idea of transforming STEM to STEAM, seeing how the arts (particularly music) can better connect the academics of STEM to the students of today. Eduflack has been fortunate to spend recent years looking specifically at how we can revolutionize teacher education to take full advantage of the opportunities available through STEM education. In states like Georgia, Indiana, and New Jersey, we have worked with dozens of universities to transform their existing STEM teacher preparation efforts, ensuring strong pipelines of effective educators for high-need schools that possess both the content knowledge and the pedagological skills to succeed. And through the work of the Woodrow Wilson Academy of Teaching and Learning, we are now taking that even a step further, exploring how gaming, assisted reality, rich clinical experiences, project-based learning, and a time-independent program void of credit hours and Carnegie units can do a more effective job preparing prospective teachers for the rigors of STEM education in both the schools of today and the learning environments of tomorrow. Recently, I had the privilege to travel to Israel to see how a “start-up nation” focused on technological opportunities is addressing STEM education today. The ORT Israel Sci-Tech Schools Network is essentially a network of nearly 100 charter high schools focused on STEM instruction. Everything is taught in a dual-language environment (English and Hebrew), with many of the schools in the northern part of the nation adding the third language of Arabic to meet the needs of their Arab students. At every instance, the educators at ORT seek to use personalized learning to help connect STEM lessons to the STEM learner. They embrace the use of technology in the classroom, including the instructional applications of students using their own smartphones while in class. ORT actively recruits teachers who have developed meaningful content knowledge in the private sector, bringing their experiences as developers and designers for names such as Microsoft and Google into the K-12 classroom. Visiting schools across the country, I witnessed STEM seamlessly integrated with English language instruction and literature and even the Bible. One educator remarked that “this is a creative thinking place for teachers.” In multiple schools, I heard educators speak of changing “the exclamation points to question marks in learning,” meaning to them that instead of teachers offering the definitive word on everything taught, they saw their role as inspiring their students to ask questions and seek answers. 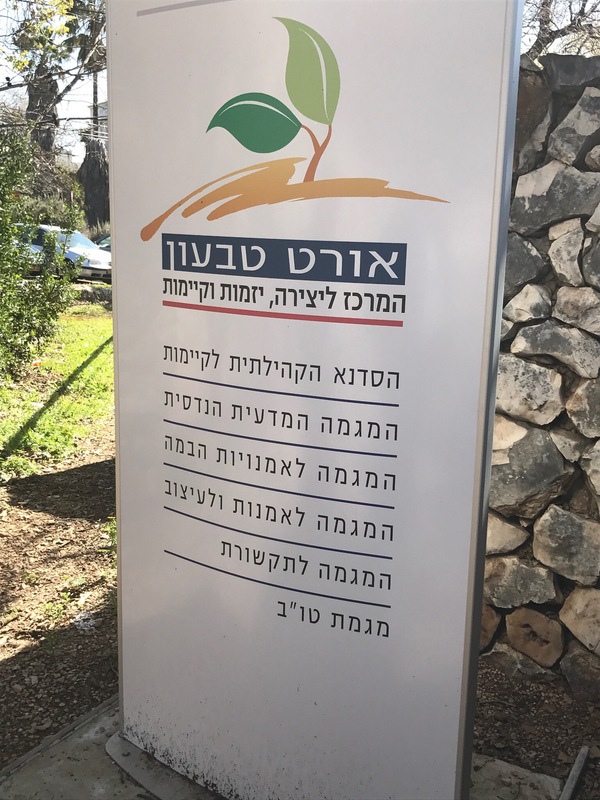 As I was meeting with a group of students in Northern Israel, I inquired whether they preferred this new, project-based, STEAM-focused instructional model to the previous ways they were taught, the room exploded with a combination of rapid Hebrew, followed by laughter from some of the teachers. Clearly my meager mastery of the English language and my pathetic understanding of Spanish wasn’t going to help me, so I asked one of the teachers for a little assistance. His explanation made me understand I was in a STEM classroom much like the classes I visit here in the United States. Most of the kids in the class were not aspiring rocket scientists or brain surgeons. Many of them didn’t want to be in high school at all. But they were saying that if they were required to be in school, this was really the only way they would want to do it. For them, there was no other school choice. The visit to these ORT Schools helped me see there are some universal truths when it comes to the future of teaching and learning, truths that I see with every school visit or teacher discussion I have here in the states. Teachers want to be empowered. Educators see the enormous value in mastering content as well as being adept at classroom management. That their success is measured by far more than a test score. That they are eager for the instructional opportunities ahead, and charting new ground to meet the needs of tomorrow’s learners. And for those learners, personalized instruction is king. Project-based learning inspires. The real-life experiences of their teachers mean something. And what they can do with the content and knowledge obtained is far more important than how it can be measured. As a community, we need to do far more to spotlight what is happening in American classrooms today. To capture how PBL is affecting both teacher and student. To demonstrate the impact STEM has on all students, regardless of expected career path. To call out how teacher preparation programs are breaking the old models to meet the demands of the future. To talk about the dreams of today, so we can do tomorrow. Woodrow Wilson Georgia Teaching Fellow Darryl Baines, at a State Capitol announcement where Georgia Gov. Nathan Deal and Woodrow Wilson Foundation President Arthur Levine announced the 2016 Georgia Teaching Fellows. The program is designed to help Georgia recruit, prepare, and support exemplary STEM teachers for the state’s high-need schools. The full story, written by Janel Davis, is in the June 2 Atlanta Journal-Constitution.